Let’s see more of this guy on offense . . . Christian Turner. Why Christian Turner? 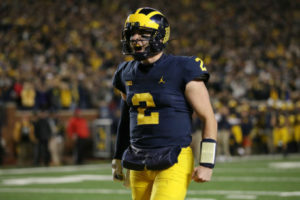 Toward the end of last week’s blowout win against Penn State, Michigan was still running zone read options with quarterbacks Shea Patterson and Dylan McCaffrey. I was afraid it would get one of them injured, and it turns out McCaffrey broke his right collarbone and will be out for the year. 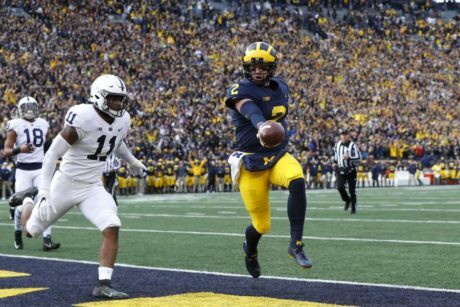 If Michigan gets in another blowout situation – which is a strong possibility this week against Rutgers – then I would prefer to see the quarterbacks hand off to Turner (or other backup running backs). Hit the jump for more thoughts on the game. Last year: I ranked Anthony #58 and said he would be a backup linebacker (LINK). He redshirted. 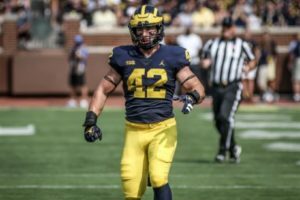 I predicted last year that Anthony would be an early contributor because Michigan doesn’t mind small-ish linebackers, and he’s an athletic kid who could help on special teams. That was a swing and a miss. 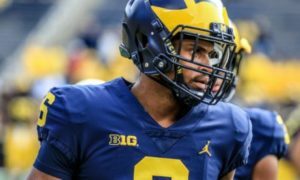 Michigan did play a freshman linebacker, but it was Josh Ross. 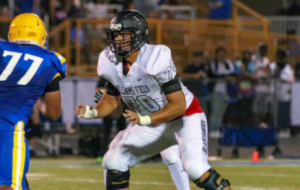 Anthony stayed off the field and will be a redshirt freshman this fall. 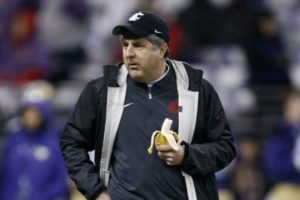 It’s a total crap shoot with Anthony right now, along with a lot of players, because we weren’t able to see spring practice and there was no spring game. 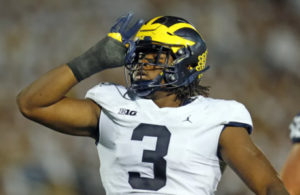 Michigan is trying to replace Mike McCray II, but Anthony doesn’t seem to be in the running to take that spot at WILL linebacker. Otherwise, there’s not much playing time opening up this season. 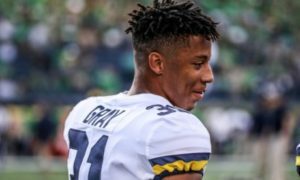 Ross and Devin Gil seem like the most likely options for that spot, and Anthony’s best chance for contributions probably will come on special teams. There’s often room for 235 lb. guys who can run on specials, so that’s where I expect to see him in 2018.
Who might not return on defense in 2018? I addressed potential offensive attrition last week (LINK), and here’s the defensive edition. As I mentioned in that previous post, this is about the depth chart and opportunity for playing time; these posts are not about rumors or talent judgments. 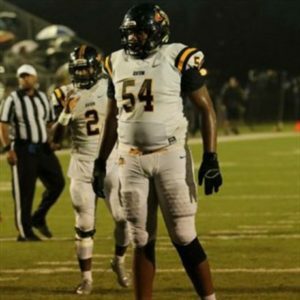 DEFENSIVE LINE: First of all, it’s important to note that there are few places in the country where defensive linemen get better coaching than Michigan. 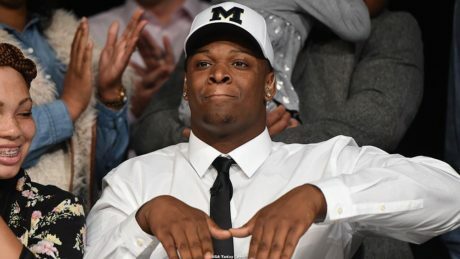 If you want to be good and have the ability, Michigan gives you as good of a chance as anyone. It’s not like Alabama or Clemson, where elite recruits simply continue to be elite. 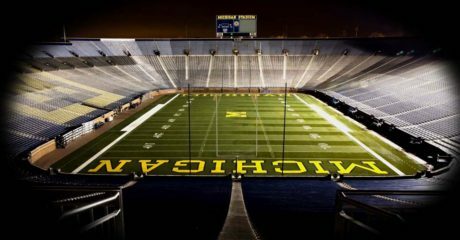 It’s a place where walk-ons (Ryan Glasgow) and lowly 3-stars (Frank Clark, Maurice Hurst) can be turned into high draft picks. But if you’re not on their level, you won’t get on the field. In that regard, there are a few guys who are buried on the depth chart. One is defensive end Reuben Jones (RS Jr.), who has been passed by younger guys, and another is Ron Johnson (RS So. ), who has bounced between defensive end and defensive tackle. Both are finding it difficult to find the field. 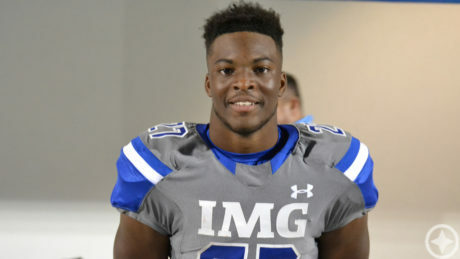 Meanwhile, interior players Lawrence Marshall (RS Sr.) and Bryan Mone (RS Sr.) have both been passed by younger guys, most notably Aubrey Solomon, a 2017 signee. 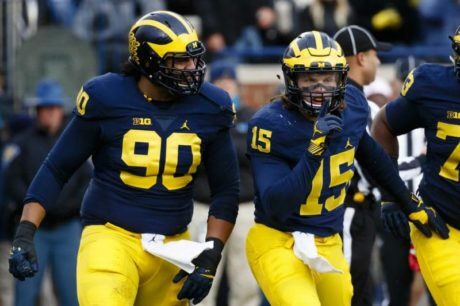 Michigan rotates defensive linemen quite a bit, so there’s playing time available for both, but becoming a starter would be a tall order. Most importantly of all, there’s a chance that Chase Winovich (RS Sr.) might enter the NFL Draft. Hit the jump for a discussion of the linebackers and defensive backs. Last year: Anthony was a senior in high school. 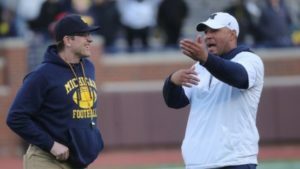 Anthony was a nice win on the recruiting trail for Michigan’s staff. Early on when he lived in Maryland, it looked like he would stay on the East Coast, quite possibly at Maryland. Once he transferred to IMG Academy in Florida, it seemed like he became more open to playing elsewhere. 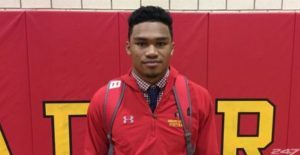 He was rumored to be a silent commitment to Michigan for several months, and he finally made it public in December. I have some questions about Anthony, partly because of size and partly because of him bouncing around from position to position. 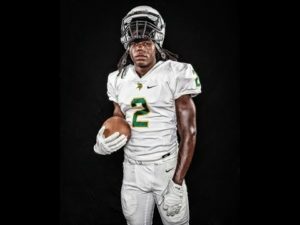 He played running back almost exclusively as a junior, and then he returned to the linebacker position as a senior. 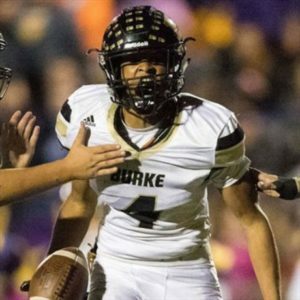 Rivals saw enough out of him to bump him up to a 5-star prospect, which is a little surprising for a guy who’s probably not even 6’0″ and who doesn’t seem to have truly elite athleticism. Those questions aside, I do have Anthony ranked as the most likely freshman to contribute in 2017. 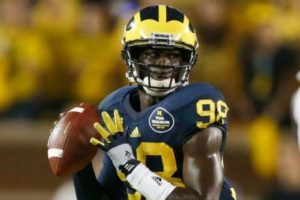 He has the positional flexibility to contribute at either WILL or SAM, and Michigan has a need for contributors at both positions. 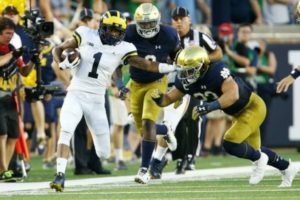 I also think he has the quickness to overcome some size deficiencies, and we saw a similar player (Devin Bush, Jr.) contribute last year. 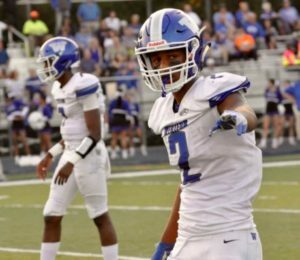 I posted the 2017 offensive recruiting grades last week (LINK), so here are my thoughts on the defensive side of the ball. 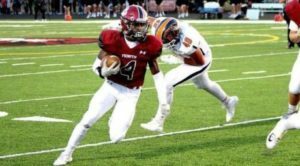 Click on the player names below for their commitment posts. Why? 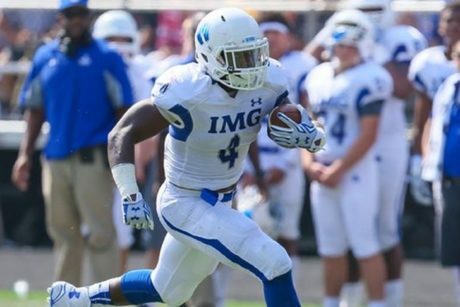 Michigan went after some elite rush ends (Jaelan Phillips, K’Lavon Chaisson, etc.) in this cycle, but none showed much interest. Instead, Michigan got home-stater Malone-Hatcher, Boston College decommit Paye, and Canada native Vilain as weakside end types. I thought Vilain improved significantly over the last couple years since moving from Ontario to Virginia. 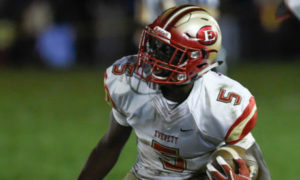 On the strong side, Michigan got Irving-Bey and Jeter, both of whom could end up as a 3-technique tackles. I don’t see dominant players here, but it is a solid group and they’ll get high-quality coaching.